Enterprises already have major investments in their infrastructure and created relationships with their vendors, though, so it’s no surprise that Google is launching Anthos with more than 30 major hardware and software partners that range from Cisco to Dell EMC, HPE and VMware, as well as application vendors like Confluent, Datastax, Elastic, Portworx, Tigera, Splunk, GitLab, MongoDB and others. Robin.io, a data management service that offers a hyper-converged storage platform based on Kubernetes, also tells me that it worked closely with Google to develop the Anthos Storage API. 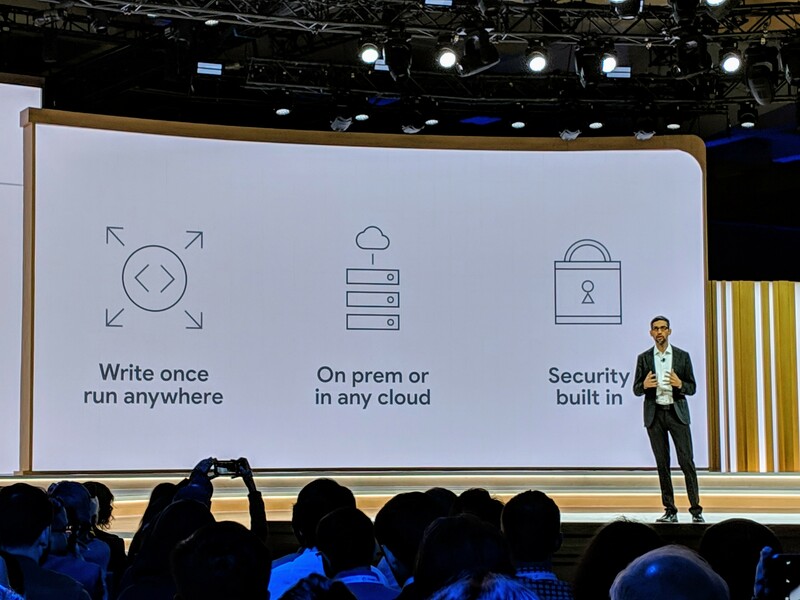 “Robin Storage offers bare metal performance, powerful data management capabilities and Kubernetes-native management to support running enterprise applications on Google Cloud’s Anthos across on-premises data centers and the cloud,” said Premal Buch, CEO of Robin.io. Anthos is a subscription-based service, with the list prices starting at $10,000/month per 100 vCPU block. Enterprise prices will then be up for negotiation, though, so many customers will likely pay less.